It will be lost forever in the swirling tsunami of terrific basketball that was the 2013 NBA Finals. Here we are, hours after the Miami Heat hoisted the Larry O’Brien trophy over their heads, minutes after LeBron and Wade showered themselves with champagne and pizza on stage with Drake, and as with each passing second more clips of Shane Battier knocking down triples make their way across all 3 of the ESPN’s, and I haven’t heard his name mentioned once. We’ll remember the series LeBron James had. We’ll remember the series Dwyane Wade had. We’ll even remember how Tim Duncan and Tony Parker performed, and all the outlets are pouncing on Manu Ginobili’s inconsistencies. Years later, when some guy goes off for a bajillion threes, Danny Green’s historic 2013 Finals will come up. Kawhi Leonard, all of 21 years old, in only his second season in the NBA, had himself one hell of an NBA finals. 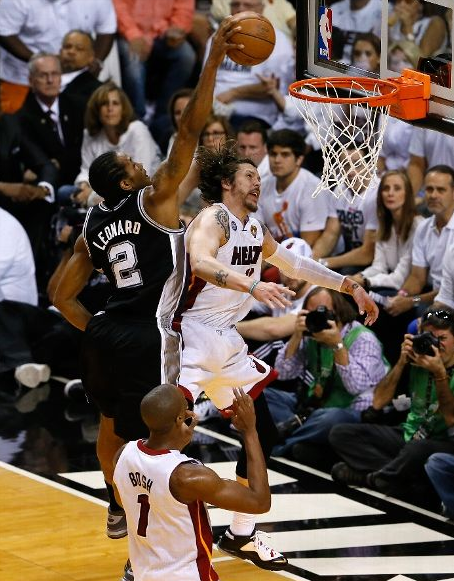 But when we talk about Kawhi Leonard’s 2013 NBA Finals, we won’t talk about the positives. The point is, Kawhi Leonard turned in a complete performance for San Antonio. A performance that should not only be recognized, but celebrated by Spurs fans as the light at the end of the tunnel for this model of early aught greatness grows brighter. But whenever his name is mentioned alongside the 2013 NBA Finals, he will be remembered for what he didn’t do. For the free throw he didn’t make. For the championship that he (along with some help from Manu Ginobili and Tim Duncan) let slip from his grasp. DUNCAN MISSED A LAYUP, AND THEN THE TIP! It seems we are obsessed with the “very good” and “very bad”. 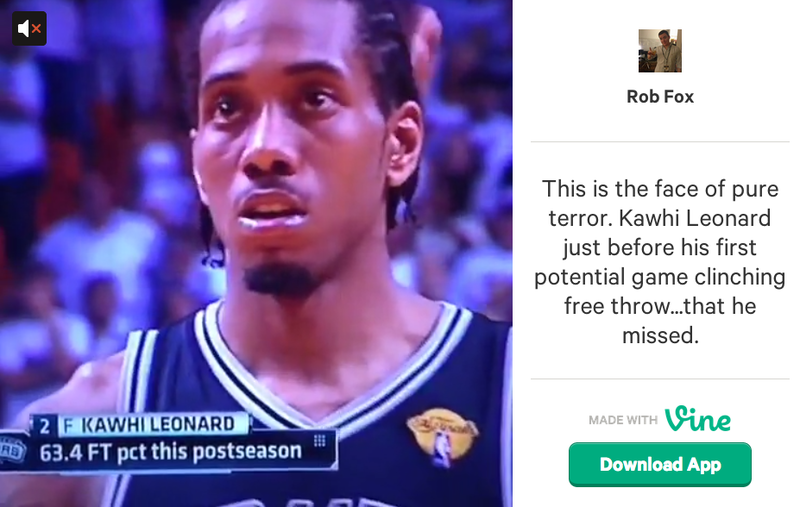 In the 2013 NBA Finals, Kawhi Leonard was “good”. Not “bad”. Not merely “okay”. “Good”. “Good” isn’t easy. “Good” doesn’t just happen. “Good” is a result of talent, hard work, and dedication. “Good”, in this case, is greatness with blemish. And while greatness undoubtedly deserves it’s time in the spotlight, I think it’s time we give some ink and some screen time to “good”.